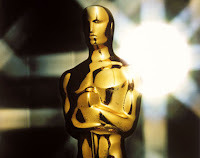 Avatar and The Hurt Locker lead the Academy Awards with nine nominations each — including best picture and best director for James Cameron and ex-wife Kathryn Bigelow. Both films are also among the 10 nominees in the best picture category, along with The Blind Side,Inglorious Basterds, District 9, Precious, A Serious Man, Up, Up in the Air & An Education. Sandra Bullock, Jeff Bridges, Christoph Waltz and Mo’Nique — who have dominated the awards season so far — all received nominations. The 82nd Annual Academy Awards will be presented March 7th at the Kodak Theatre in Los Angeles, hosted by Steve Martin and Alec Baldwin. For the complete list of nominees, CLICK HERE!